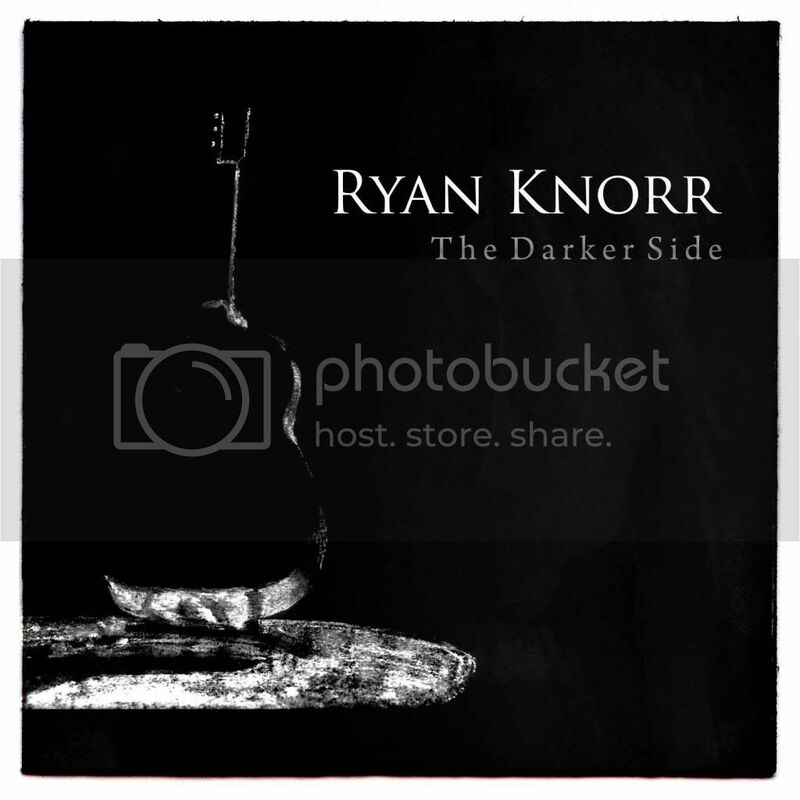 The album will be called “The Darker Side” and the cover is featured below. Here’s my latest video. Hope you enjoy it! Just writing to update you on a few things today. I wanted to make sure to let everyone know that I am currently working on my next album. I’m in the beginning stages of laying down the tracks but this one is going to be acoustic in nature, so in my mind I’m hoping things go smoothly and it won’t take me forever to complete. In reality, I have to be realistic and know that any recording process is a lot of work and requires substantial time commitment, especially since I’m going to once again be playing the part of producer, recording engineer, and musician all at the same time. And we’ll probably add mixing and mastering into the list of tasks as well. I believe I’ve got roughly 12 or 13 tracks that are going to be worked over for the album and I am extremely excited to share them with you. As things progress I’ll be revealing the track listing and also the artwork, etc. Once the album is complete I have a plan in mind of how I would like to reveal it. That plan as it stands now is to reveal one track at a time and to supplement that with a blog post that discusses the stories behind the songs and the inspiration for them. I’m hoping this will create an even stronger connection to the album and the new songs. Thank you once again for your interest in my music and I hope you’re as excited as I am about the new songs! To give you a taste of what I’ve been working on, I decided to record a quick video of a new song called, “The Long Road.” When the album recording is done I’ll reveal more of the back story to the song as there definitely is one, but for now, take a listen and enjoy! Well here I am again, writing a blog after a long time since my last one. Every time that I promise that I’ll keep up with more timely posts, I don’t keep my word. So maybe this time I shouldn’t make any promises at all and we’ll leave it at that. The purpose of my writing today is a feeling that I need to do so. Every once in a while my brain gets that spark where sentences flow together and I feel like I should probably put them down on paper, or in this case, type them out and reveal them for all of you to read. Since it’s been a while let’s tie up a few loose ends for anyone who might be interested. I spoke a bit in the recent past about my vocal issues. Sadly after more appointments and different tests to try to find out how to fix my issue, nothing has been resolved as of yet. My ENT doctor believed it was acid reflux so I was sent to a stomach doctor. Then the stomach doctor wanted to have a test done to see if that was in fact my issue, so they placed a sensor in my esophagus for 48 hours and a wireless system read the pH (acid) levels coming back up into the esophagus area. So far I’m waiting for results on that to see what the plan is next. The problem is frustrating but it’s kind of become the norm now to where I’m having a hard time remembering what it felt like when it was “normal.” I also feel like I’ve come to terms with it and how it has affected my voice and participation in music. I’m still singing but it’s just not as easy to sing for more than a couple of songs at a time without the voice feeling tired and dried out. The actual tone might sound the same to the listener, it’s just the singing duration that I can’t fix at this point. I guess the good news is that it hasn’t changed the sound of my voice drastically or anything like that. Beyond the vocal issues there have been some other major developments in my personal life. My wife and I closed on a house a couple of weeks ago and have been in “moving mode” for the past month or more. Packing up everything you own is a task like no other, but unpacking it is proving to be just as time consuming. Because of this we’ve been extremely busy and and our time has been occupied by getting settled into the new place. We’re really enjoying it so far. All of these changes have got me thinking, and if you all knew me as well as my close friends and family, then you would know that thinking is something I do often. I’m not talking about just everyday decision making, but more like pondering the bigger picture and all of that philosophical type of stuff. It seems like there’s been some sort of shift inside of me, but I haven’t been able to completely figure it out yet. I think our home buying experience solidified some things for me. The obvious one is that my wife and I plan on being in this location for at least a while longer. We were continuing to rent with the “someday” thinking in mind; the thought that we might one day wake up and make some drastic change and move our lives elsewhere. But for two people who love to deliberate for days before big decisions like my wife and I like to do, we finally came to grips with the fact that a drastic change wasn’t going to happen for a while, and that if we were staying put for the foreseeable future, then buying a home was the right choice for us. The home buying experience brings up some obvious unfamiliar feelings. For me I think this feels like more of a big time moment and that my life has shifted a bit into complete adulthood. Not that I didn’t feel like one before, but the more you get settled, the more priorities shift and evolve over time. I feel like I’m at some sort of transition point in my life, and I’m not sure yet what I’m transitioning to. My music world has been a bit stagnate for the last little bit. As with so many things in my life, I tend to pour all of my time into something until it seems to lose some of that initial excitement and spark and then I sort of think, “now what?” I was pouring my entire life into my music for the past couple of years always chasing after that “someday” that seems eerily similar to the one I talked about a few paragraphs earlier. The problem with that is that I’m not sure what that “someday” is anymore with my music. I think over the options. I could play cover songs at bars locally. Not interested. I could quit everything else and just “go on the road” hoping to build my audience. Not really interested and not feasible either since I still have to pay my bills and work. I could continue my online thing with making videos and realize my music is more of a hobby than a career. Interested, and might be more likely. I could work on recording my next album little by little and try to make music fun again instead of it always being about “making it” and how many followers, subscribers, and views I have. Most feasible and most likely to happen. So you can see that my thinking is leading me right now down a path of uncertainty, just as it always has. But what I do feel right now is a shift in my life from the music side to something else a little bit more centered. And to be honest, it’s scary to think of myself being more like a “normal” person who works a job and has a family and comes home at night to sit on the couch and watch tv. And not that there’s anything wrong with that, but in the past I would feel extreme guilt in that situation if I wasn’t getting anything musical done. Right now I feel happier doing those relaxing things instead of stressing out over the music thing, but that guilt I was talking about still sometimes has a way of haunting those feelings. I feel like I’ll be letting people down and that I’m wasting my talent. I’ve always wanted to make a mark on the world. I’ve said this over and over so my guilt comes from the fact that all we see around us are slogans like, “live your dream” and “Find your life’s purpose and go for it!” and all of it makes me feel like I’m a failure. I still haven’t found a “career” that I think I want to pursue for the rest of my life, and my worry is that I’m spending a lot of time thinking about it and not much time coming up with an answer. I don’t feel like I’m living up to my potential, but it’s not as easy as it sounds to just quit everything you’re doing and try something else. Music will always be there. It’s the one thing I know for sure that I can give to the world, even if it just means that 1000 people hear it, instead of a million. I’m ok with that. At least for this moment, for today. But there’s still that guilt there that I’m not becoming what I should be, that I should be giving more. It was a moment of clarity for me that really made it feeI like I understood life on a different level. I’ve been continually thinking up to this point that the only thing that makes us a success are the external factors. The job we have, how much we accomplish, it’s how society rates our success. But the people close to us and the ones we love don’t rate us in the same way. They rate us for who we are as a person and how we treat those close to us. It might seem “out there” and maybe I’m crazy for thinking that or writing it here, but somehow it made me feel a little bit better. I can tell you for sure that on your deathbed things like your job, the amount of money you had, or the amount of possessions you had won’t be sitting next to the bed comforting you in those last moments. The people you love and those close to you will be there. And if for some tragic reason they’re not, then they will know in their heart what mattered the most. So I’m unsure of where my road leads to next. I think we all are. But I guess that’s all part of the experience, isn’t it? In my next blog I might have a complete change of heart and I might be doing god knows what, but in any case I’ll be giving it my all. Even if giving it my all is being at home with my wife and dog and doing nothing more than enjoying their company. That’s more important than anything, and I won’t forget that.